The laughter fills the room as grandmother, daughter and granddaughter reminisce about their family’s time at SAA. Three generations have marched down the aisle of the gymnasium on graduation Sunday and proudly received their SAA diplomas. Yes, the Moore/Beretta/Rupnow families are SAA history. 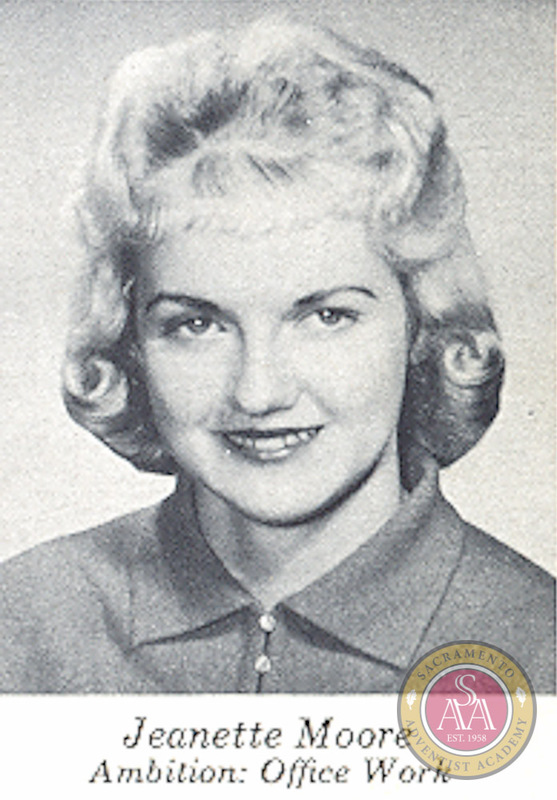 Jeanette (Moore) Beretta graduated in the first graduating class of Sacramento Union Academy in 1959. She enrolled in 1948, when our school was still known as Sacramento Junior Academy. Her memories of heated floors that students slid across in their socks, treasure hunts on the campus property, clothing checks before fieldtrips, the milk cartons served every day at lunch, and getting in trouble for chewing gum help tell the story of our school’s beginning. Jeanette’s warm smile and dancing eyes show the love she has for these memories and her school . All four Moore children, Richard, ’48; Donold,’48; Joyce, ’59; and Jeanette,’ 59 attended Sacramento Union Academy, as did Jeanette’s sister-in-law. After attending Pacific Union College for Secretarial Studies, Jeanette married 1962, finally returning to the area in 1963.
good education. So they moved to Citrus Heights to give Tammy an SUA education. To say Tammy has participated in the history of SUA/SAA would be an understatement. She graduated in 1982, has lived around the campus for 10 years, worked at SAA for ten years, sent both of their daughters, Sara, who graduated in 2010 and Megan, part of the class of 2015 to, SAA and still volunteers on campus. “I love this school. My heart is here,” she says, smiling warmly. 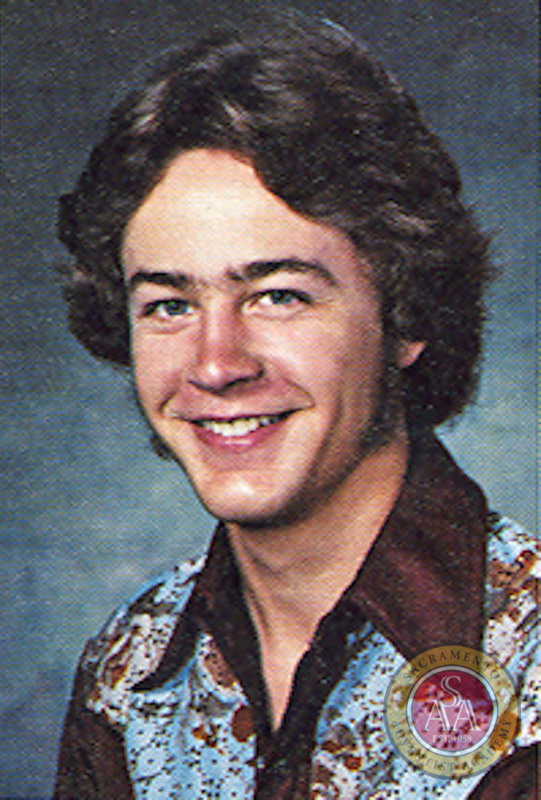 Robin Rupnow,’79, to the school event. Ten years later in October, they went on their second date and havenow been married for 23 years. Some of the things Tammy remembers about her time as a student at SUA is the gymnastics team, typing class (“back when we had white out,” Tammy laughs), getting in trouble for screaming in the halls, music tours, and the school being a great environment for educational and spiritual growth. 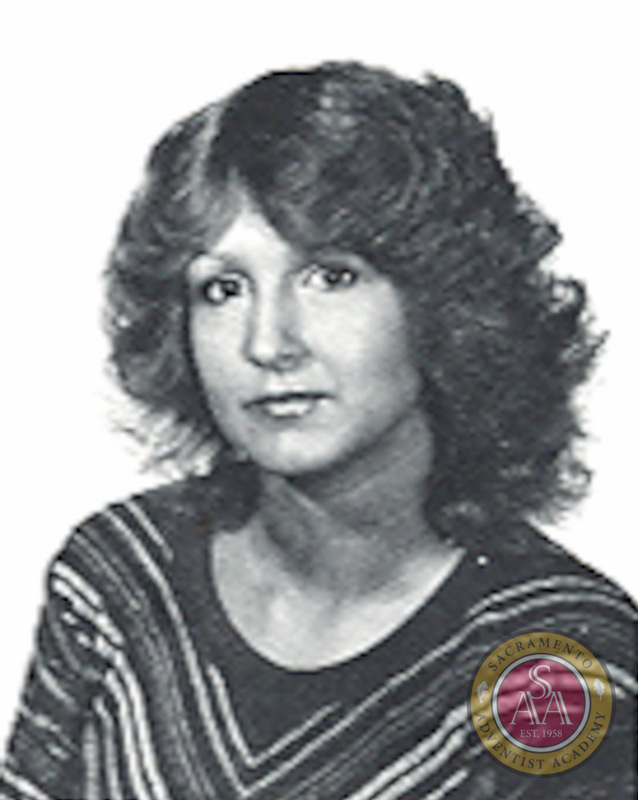 After graduation, Tammy went on to get her degree in Childhood Education from American River College. One thing SUA/SAA has always had going for it is the longevity of the staff. Jeanette and Tammy learned from Mr. Pontynen, while Tammy and her daughters all were taught by Mr. Thornton, Mrs. Provonsha and Mr. R.
Sara’s education at SAA prepared her well for her education in Massage Therapy. “I am well ahead of everyone in my classes,” she says of her current classes towards a degree in physical therapy. “I see now how others skimmed by on the public school system that didn’t care.” Tammy shares with great animation how Sara’s great base in math and science from SAA is allowing her to excel as she pursues her career. Fundraising memories are also a common memory string of SAA for the Rupnow’s. “I remember going from door to door collecting dimes for the gym,” Jeanette says while Tammy and Sara both chime in about collecting pennies for the playground. Ironically, during our conversation Sara finds a dime on the floor and all three alumni giggle and ask if the 10 cents can be put towards the current elementary playground project or student scholarships. Tammy leads the school community’s “Two Cans Tuesday” which is an on-campus community service project that collects canned food for the Carmichael Church Food Pantry. SUA/SAA is a school of generations and family connection, a place where positive student and teacher interaction facilitates learning at a high level, a place of friendships that last forever, and a place for academic and spiritual growth. Our school has been and continues to be the foundation for so many students like the Moores, Berrettas, and Rupnows. Thank you for being our family and for keeping this foundation solid for the next generations.